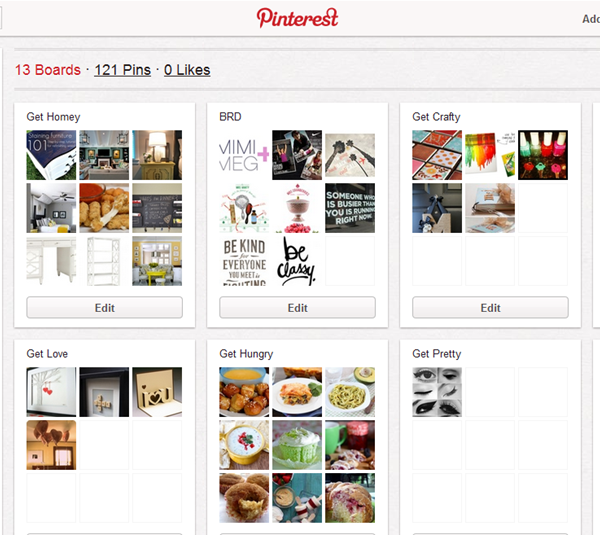 It’s about that time again…Friday Favorites! The great thing about being fresh off the heels of a race weekend means I have plenty of fun favorites from the festivities. What are your favorites from this week? Around mile 6 or so of Big Sur. This wouldn’t have happened around mile 20. I warned you I loved soft pretzels. 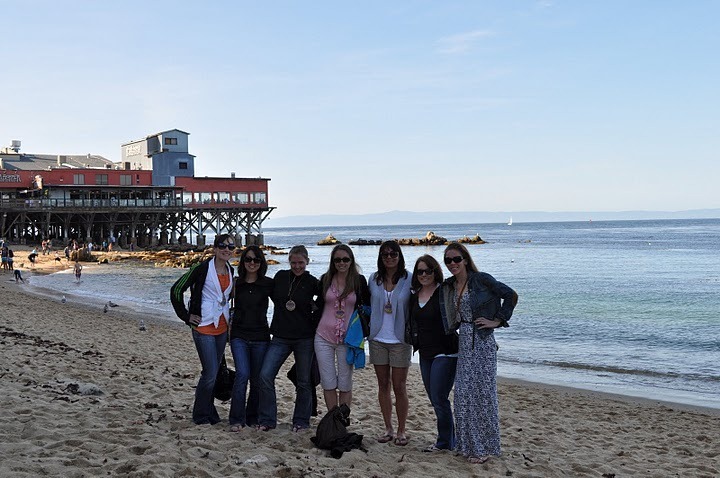 Celebrating our girls’ marathon weekend at the beach. 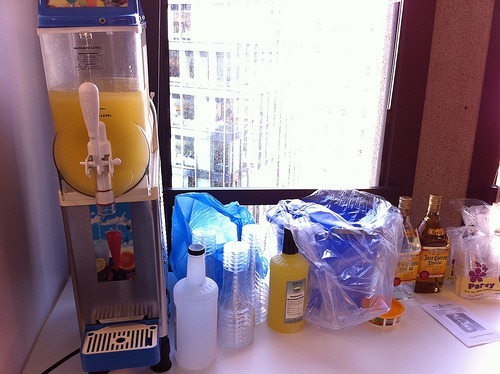 I’ve posted this photo everywhere – but I’m still in love with the fact that our office got a margarita machine for Cinco de Mayo! Earlier this week I made mini lemon meringue pies and I can’t stop obsessing over them. Super easy and delicious! Happy Friday and Happy Running! OK, so I’ve seen a lot of people say “I have the best race picture ever” and it’s a decent picture, but it’s clearly not the best picture ever. So when I saw you say you had the best race picture ever, I was a little skeptical. 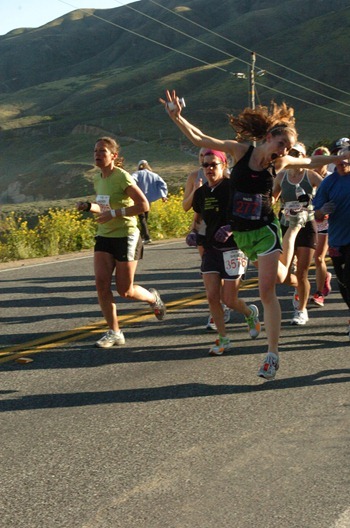 But WOW, that is the BEST RACE PICTURE EVER! Sweet on the margarita machine. Just gave me a flashback to my last job where we had a potluck lunch one day and somebody brought jello shots. A margarita machine? You must work at the coolest place ever! I want those pretzels!!!! I love soft pretzels!!! Especially cinnamon ones!!! love the race pic that’s awesome! Oooooooh! Can you send me the recipe for the mini Lemon Meringues?! I love lemon/tart things and I LOVE MINI desserts (if you didn’t pick up on that) Love the Big Sur photos, what a wonderful weekend!! 🙂 Hope you didn’t party too hard on cinco de mayo! also, i am officially quitting my job and applying to work with you. please put in a good word for me. Your Big Sur photo is hilarious! I LOVE IT! I want a Cinco de Mayo margarita machine at work! That’s ammmaaaazing! 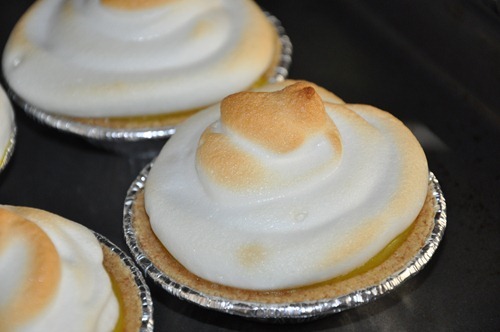 And easy mini lemon meringue pies?! Can you please post the recipe! They look SO delicious! Have a fabulous weekend friend! Love the race picture! And, the margarita machine. Sweet work. And the pies? Please post the recipe! I want that mini lemon meringue recipe! looks so good! Don’t know how you get awesome race photos like that but it sure is cool! 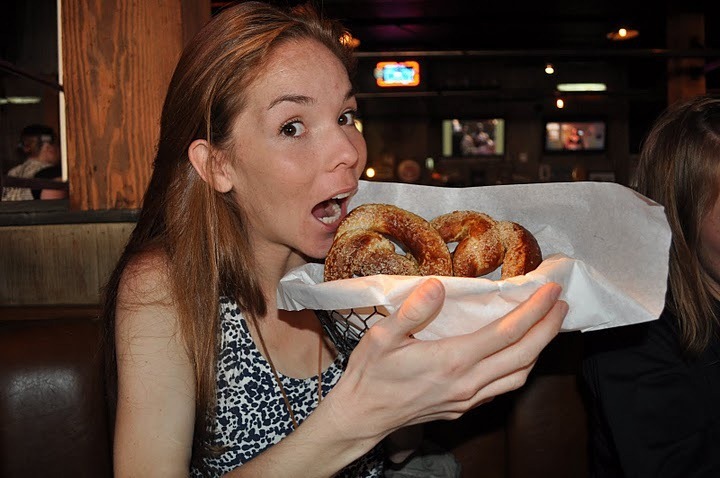 And let me tell you, I love soft pretzels too – sooo good! Ummm I want that pretzel in my mouth right now. Doused in mustard please! LOVE THE RACE PIC! Love your race picture! Makes me smile just looking at it. 🙂 And the shot of you eating the pretzel looks fabulous! Lol @ that first picture, you’re flying! And yum those mini lemon meringues look so delicious! Hahahahah you WIN for best race photo ever!! That is amazing. And yes, no one behind you even cares. And your job is a bajillion times cooler than mine……definitely no margaritas allowed! Your office sounds amazingly cool! Love the marathon pic! Ha! Love that first pic! The pies look pretty awesome too! LOL….. the first pic. awesome.